Updated: Now titled Jigsaw (2017) which is better than the previous Saw: Legacy title. Saw: Legacy (2017) will be co-directed by Michael Spierig and Peter Spierig. Saw: Legacy is also known as Saw 8 (2017) and is a horror thriller film where the plot has not yet been revealed. Laura Vandervoort, Tobin Bell, and Callum Keith Rennie (rumored) star in Saw: Legacy. This film is set to release in the US on October 27, 2017. 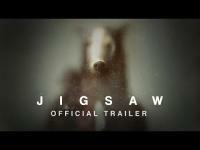 It has been over a decade since the last Jigsaw murder. However, after a new series of murders occurs, police find themselves chasing after what they believe to be the original Jigsaw - John Kramer. Could John Kramer still be alive or is there another killer out there with a different motive?